Mix 1 cup of granulated sugar with ground cinnamon in a long plate. 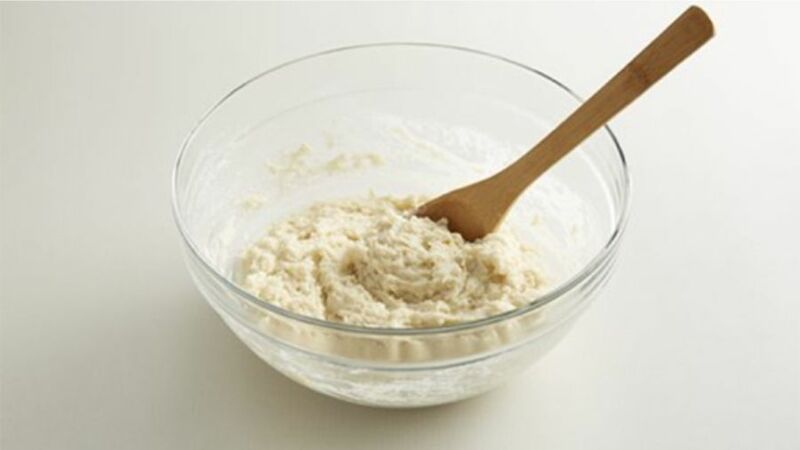 In a medium bowl, mix flour with the ¼ left of sugar, the baking powder and the salt. 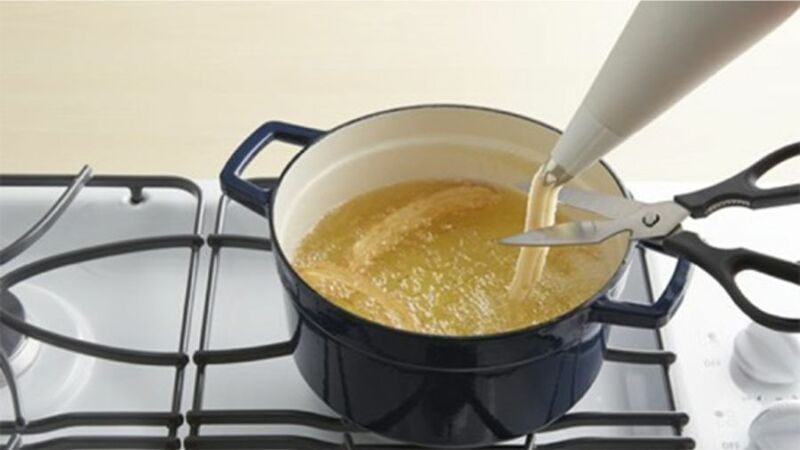 Boil 2 cups of water with butter over medium temperature until the butter melts completely. 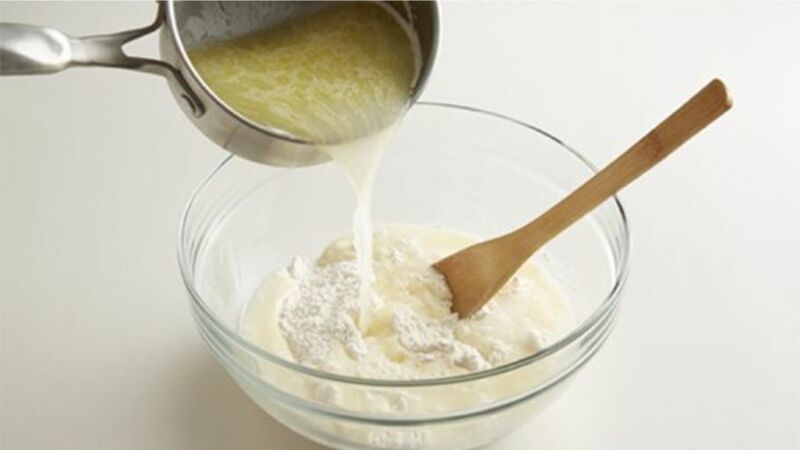 Carefully mix the flour with the mix of butter and water. Mix with a wooden spoon until well incorporated. 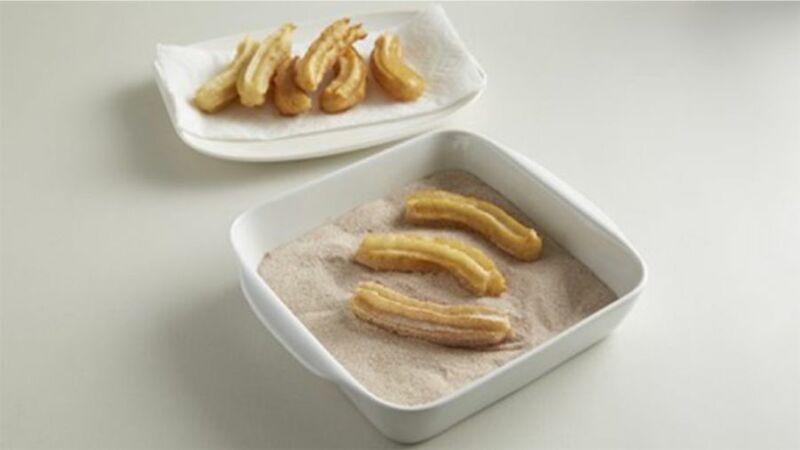 Once dough is mixed, place the churro dough in a pastry bag with a star-shaped tip (divide the dough into 2 or 3 batches). In a pot over medium temperature, warm 2 cups vegetable oil. Carefully fry each dough strip (4-6 inches) until golden on all sides. Place on a plate lined with paper towel to absorb the extra oil. Roll churros in the sugar-cinnamon mix. Enjoy with a cup of hot chocolate! Gold and crunchy on the outside, soft and tender on the inside, and with a delicious topping of sugar and cinnamon, churros are definitely a worldwide classic. It’s my most beloved craving during chilly days. 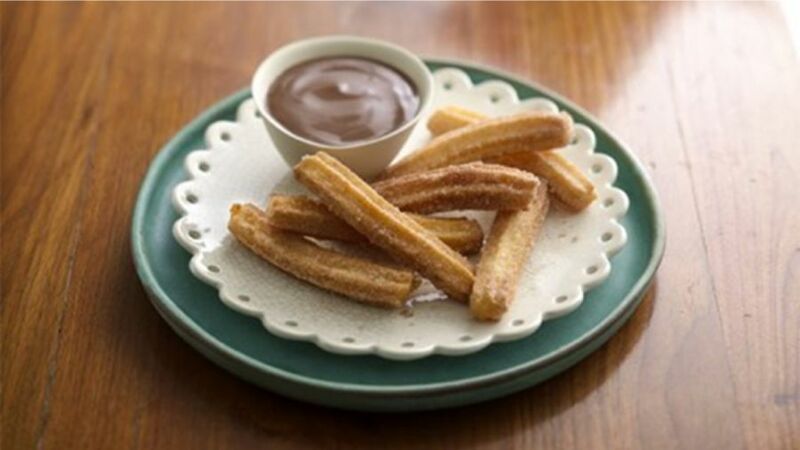 I believe nothing screams fall like a hot cup of chocolate and a churro!